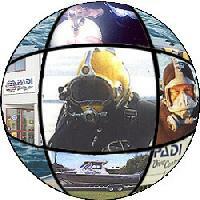 In December 1993, Commercial Dive Services NZ/Wanganui Underwater Dive Centre was started from a vision that there was a need for professional diving services in the surrounding region. Commercial Dive Services NZ is involved in all aspects of commercial diving including Welding, Broco cut, scuba diving, SSBA, salvage, inspections and more. The business has built a reputation for excellence and job completion and we have a number of on-going contracts. General maintenance and inspections of marine outfall systems. Salvage using air lift bags. Hull cleaning and prop inspections. Vehicle and lost item recovery.